Photo transfer onto tile by Jeneva Lindsey. 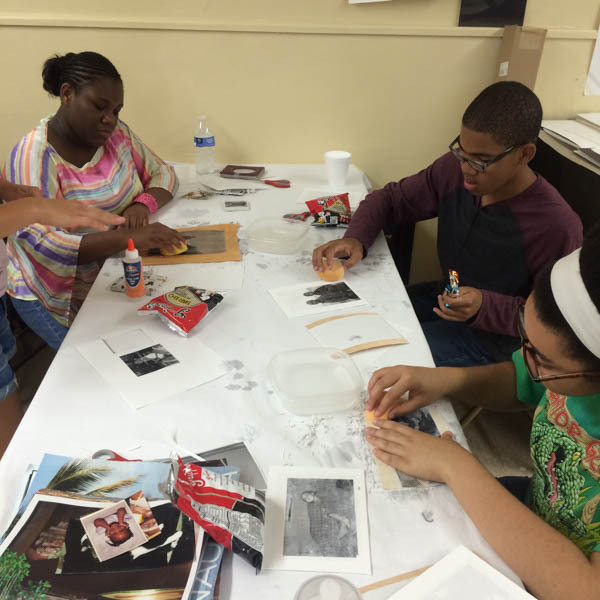 Just a few shorts weeks ago, I had the pleasure of being a Guest Artist for Louisville Visual Art’s Studio 2000 at Shawnee’s Art and Cultural Center, where I led a photo transfer workshop! 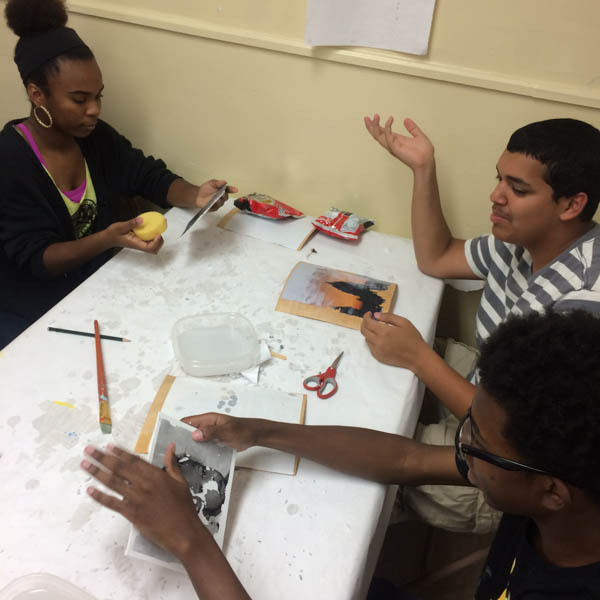 Studio 2000 is a competitive eight week visual art program for teenagers. 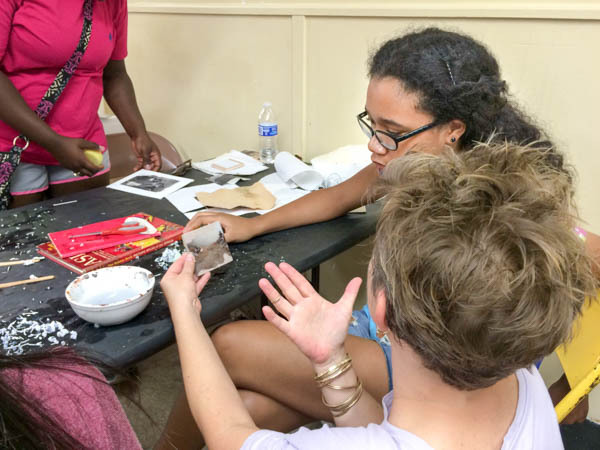 Students have the opportunity to work with professional artists in clay, fiber & mixed media…so it was a true honor to introduce photography to the mix of mediums with a hands-on technique that broadens the horizon of what a photograph can be! 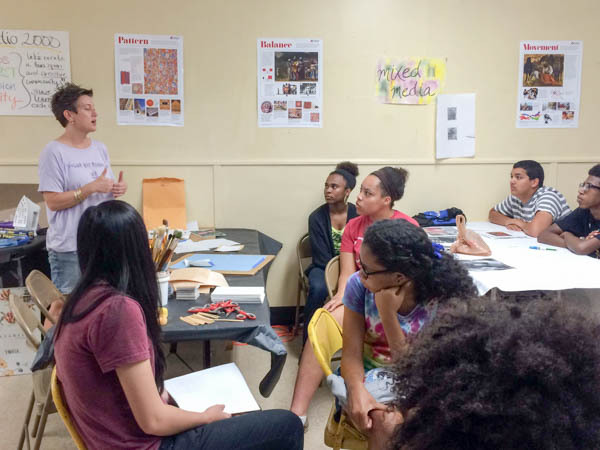 One of the many cool things about this program is that students actually get paid to create work during this 8 week program. The culmination of this work can be viewed at The Studio 2000 Annual Exhibition and Sale this Thursday, August 6th from 5-7pm at the Kentucky Center for the Performing Arts!! Proceeds from the sale are returned to Studio 2000 for future programming. Click here to learn more about the exhibition with images of what will be available for purchase August 6th. You’ll be sure to see me there!!!! Photo transfers has played a huge role in my work in the past few years and have allowed me to ‘print’ onto wood, metal, tile, and canvas. 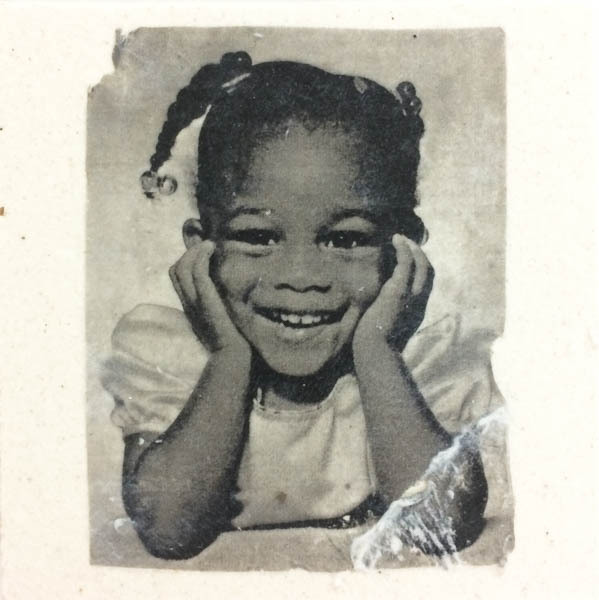 In some cases the photo transfer is the first layer I work with…oftentimes, it’s the last layer…and sometimes it’s BOTH! There are so many ways to create photographic transfers, but since this was a 2 hour workshop, I decided to largely focus on Acrylic Gel Photo Transfers. So grateful to work with participating students of Studio 2000! Photo by Sunny Ra. The beauty of this technique lies in the nature of the acrylic – you can adjust and modify the gel to suit your needs. For this workshop we used Golden’s Soft Gel Gloss Medium…but any clear acrylic medium works. Any image can be used for transferring, but not all transfer the same…to ensure a good transfer, use an image that is printed in reverse from a laser printer at a copy shop…ink-jet prints generally don’t work. You definitely want to print in reverse if your image is text dependent. The process is simple. Trim photocopy to leave little or no border. Brush an even layer of gel over the surface of canvas, wood or substrate of choice. 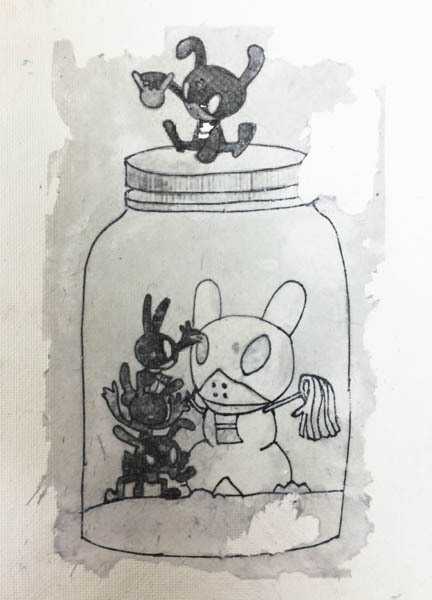 Place photocopy face down into the wet gel and burnish softly with popsicle stick…allow to dry completely. Once dry, use a damp sponge to gently wet the transfer. Begin rubbing away the paper backing. Working in soft circular motions, wipe away paper as you go…adding small amounts of water as needed until the image is revealed. Introducing myself to Studio 2000. Photo by Sunny Ra. 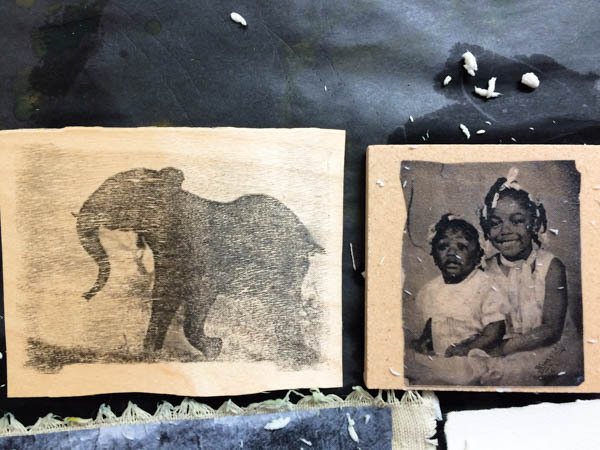 Photo transfers onto birch and tile by Donielle Pankey. This student is wiping away the paper to reveal the photographic image. 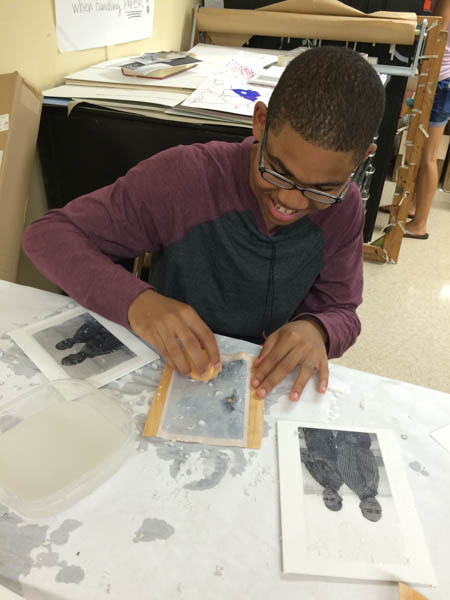 Students working diligently on their photo transfers. 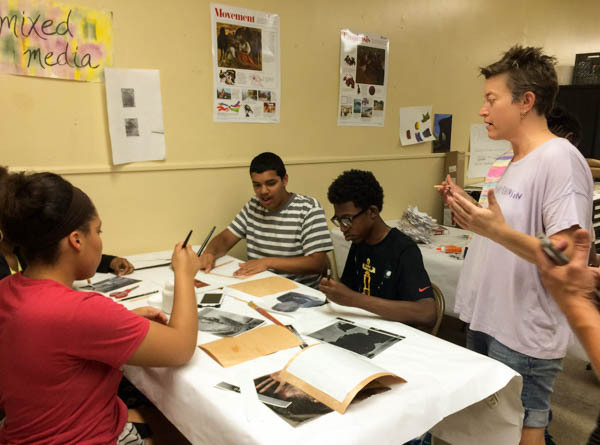 Just a few of the many gifted students of Studio 2000! 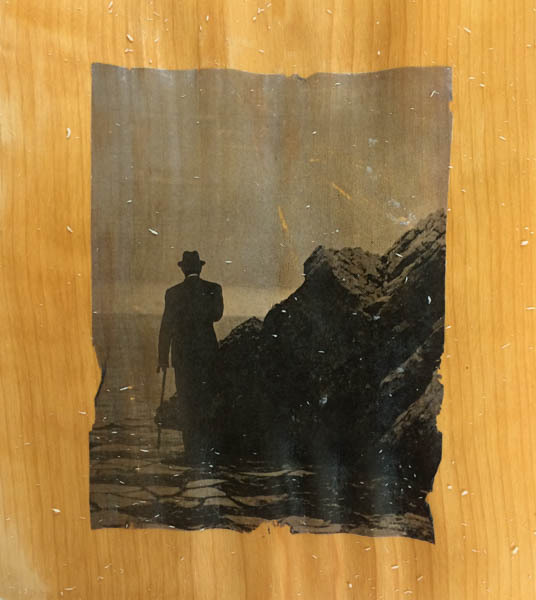 Photo transfer onto birch by Jeneva Lindsey. It was really great to connect with each student and see the work they created! Photo by Sunny Ra. I love how one student transferred a drawing onto canvas. Photo transfer by Lisa Nguyen. Voilà! Simple and successful…just like this workshop! Thank you to Sunny Ra, Ehren Reed, Studio 2000 and LVA for inviting my participation! Looking forward to the exhibition on Thursday!! Cooking more metals…this time with plant material!